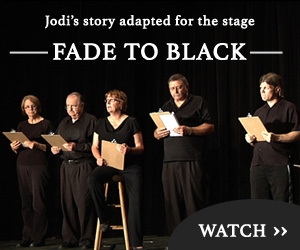 Tickets are now on sale for ‘Fade to Black‘, a play about the disappearance of Jodi Huisentruit. Simply click on the blue bar on the top of the page, or click the button below to be taken to a secure checkout process to purchase tickets. Tickets are $12 online and proceeds will go to the Brave Community Theater of Spring Valley and FindJodi.com, Inc. We thank you for your support! Reminder: Once you purchase your ticket, you will be taken to a page where you can view and print it out. Please print the ticket and bring to the show.